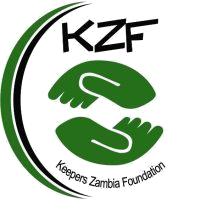 Keepers Zambia Foundation believes that its involvement in promoting savings is proving to be a viable tool to reduce poverty among marginalised people in the rural areas without formal employment. Unlike other approaches saving group approach is self sustenance and scalable in that members have control and get tangible benefits. Many have managed to improve their livelihoods and able to send children to school; buy agriculture inputs to ensure food security. bank in the village owned and servicing the owners is the best way to go. No pressure of who to speak to for financial support. “That’s what KZF is promoting” and now self help groups/savings are no longer for the marginalized as earlier perceived, where as GRZ has Micro-Finance Company, people in rural communities have Savings Groups. All are platforms meant to increase access to financial services.